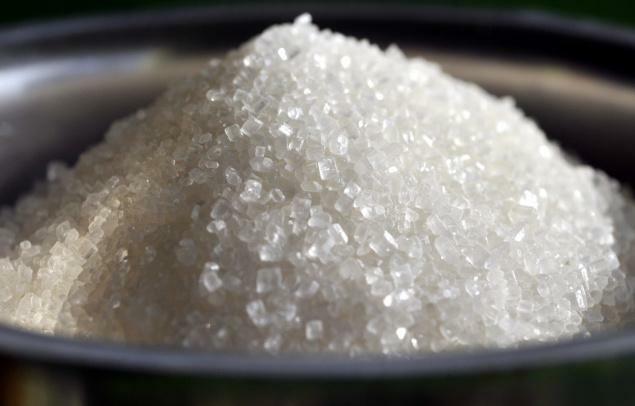 THE Government is contemplating banning the importation of sugar and certain horticultural products as it moves to protect local farmers and enhance domestic farm production. The Deputy Minister of Agriculture responsible for mechanisation and irrigation development, Davis Marapira, told Chronicle in an interview in Solusi yesterday that by the end of next month the country would have been cleared of cheap imported agricultural products. Marapira, who met farmers in Bulilima District, said imported agricultural products were threatening the viability of local farmers. "We are aware of the importation of tomatoes, potatoes, onions and sugar. We do not want these things because they are affecting the viability of our local agriculture industry," Marapira said. He said the country had the capacity to produce enough for domestic consumption and that it had the best sugar industry in the region that can supply the market with no need for imports. "We are saying no to imports. Let us give our local producers a chance. We are working on the necessary statutory instruments and come January next year you will not see these imports here," said Marapira. There have been concerns that despite moves to reduce imports, the products continue to flood the local market through the country's porous border posts to which Marapira said Government would tighten security at the borders. He said locals were able to supply the market but there was a need to address the issue of pricing. However, banned potatoes from neighbouring South Africa continue to be smuggled into the country. The Government banned the importation of Genetically Modified (GMOs) potatoes to protect local farmers but unscrupulous dealers are illegally bringing them into the country. Local consumers shun buying local potatoes arguing that they were too expensive. In Bulawayo a bag of imported potatoes costs around $9 while locally grown ones sell between $13 and $18 per pocket. Mathias Siqhoza Ndlovu, met scores of communal and commercial farmers who presented their challenges to them. Horticulture farmers complained that they were not getting value from the sale of their products due to competition from imports. Livestock farmers also said they had enough stock for slaughter and urged Government to stop importing beef. Fairview feedlot chairman Obert Nyathi appealed for assistance in boosting cattle breeding. "We need a vibrant cattle breeding programme as a country or else we will face a shortage of beef in future," he said. The farmers also requested for assistance in the procurement of farm implements and resuscitation of irrigation schemes. It emerged during the tour that three communal irrigation schemes in the area were no longer operational after farmers abandoned them due to operational challenges. Somnene Irrigation Scheme, which used to have 120 members, now has seven and the members are failing to produce after Zesa cut power supplies for drawing water over a $3,000 debt. In response, Marapira pledged to engage Zesa and Zinwa authorities to facilitate scrapping of outstanding bills to ensure that farmers benefit from the scheme. He however, said Government was no longer able to give farm implements for free but would offer assistance on loan basis. Zhanda said his ministry was working on a financing scheme to enhance cattle breeding. He said a new policy that would compel abattoirs to plough back to the communities that support their businesses was on the cards and urged seasoned commercial farmers to share their expertise with the new farmers.